When it comes to managed service providers, lawyers may be coming late to the party, but they’ve definitely arrived. Managed service providers are outsourced technology experts that help companies manage their increasingly complicated information systems. Cloud technology has enabled these providers to do more with a smaller budget while working to supplement existing IT teams or acting as the sole tech geek for a small law firm. 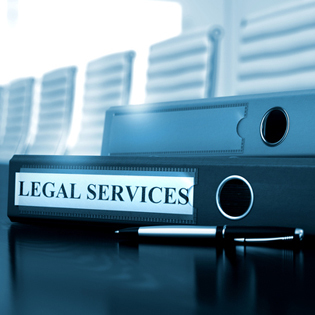 Indeed, it is the small law firm that has benefited hugely from these services as they have gained access to software-as-a-service (SaaS) models that can be governed under a managed service contract. Let’s look more closely at the concept of managed service providers and what they can do for a firm. How could a small to mid-sized law firm benefit from a managed service provider? How Can a Managed Service Provider Help Your Firm? Partnering with a managed service provider changes your relationship with technology. Managed service providers can handle your technology infrastructure, or part of it, whether it is on site or in the cloud. How could managed services help your firm? Get a free assessment to find out how TOSS C3 can help you. If your firm still has on-premise servers, managed service providers can handle the installation, configuration, and ongoing maintenance that comes with housing your email, data storage, or other functions on-site. You no longer have to wait for the “IT guy” to come on site to upgrade your technology. These updates are handled remotely by your MSP in the cloud. This means your firm will be safer because software patches and security upgrades can happen as soon as they’re released. Because updates happen more frequently and automatically, managed service providers can help small law firms stay on top of the latest cyber security threats. With these threats increasing top notch cyber security is imperative. Managed service providers can offer 24/7/365 intrusion monitoring, encryption, and other services that monitor all of your devices, from your phone to your off-site laptop. Managed service providers can help the small law firm stay on top of issues related to technology compliance, including industry-specific requirements that seek to regulate how client property is handled on-site or in the cloud. We’ve written before about how crucial it is for your law firm to have a disaster recovery plan. This is a huge part of what a managed service provider could offer your small law firm. Staying prepared in today’s changing world is priceless – and managed service providers can assess and implement a plan to keep you running should the unthinkable occur. As your firm grows, its IT infrastructure will grow increasingly complicated. The data you capture will expand and may necessitate additional storage options on-premise or in the cloud. The advice and support of a managed service provider during these times is crucial. Most MSPs can provide you with a technology assessment that will help you understand if crucial by-hand workflows could be automated, saving your firm valuable time and money. Managed services are typically under a flat fee monthly contract or subscription service. It helps you eliminate up front expenditures on hardware or staffing. These costs are fixed, although you can always scale up if needed during your peak season. You’ll end up saving on the costs associated with bringing on a full or part-time technology employee. Another advantage to keep in mind is that an MSP is on duty 24/7, unlike a part- or even full-time employee. While any type of business could benefit from outsourcing their technology needs to a managed service provider, the small law firm stands to benefit hugely from forging this type of partnership. Managed service providers can take on all of your technology tasks – or just the ones you want to outsource. Perhaps the biggest benefit of all is that managed service providers free up the attorney in the small practice to focus on litigation, instead of struggling to understand and implement technology solutions. Request a quote on TOSS C3 managed services.